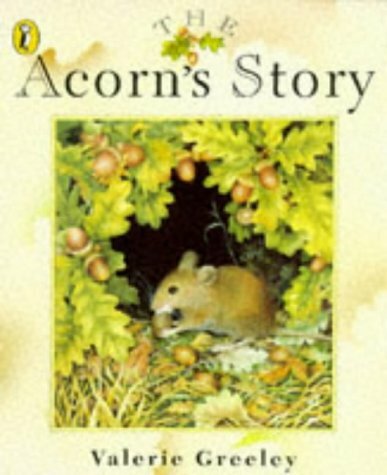 The 300-year life cycle of an oak tree - acorn to mighty oak - is conveyed in ten lyrical verses in this beautiful picture book. Each verse takes the form of a question asked by the tree: 'Who made me green?' / 'I,' said the light,/ 'When the sun shone bright./ I made you green.' The verses are contained within decorative frames opposite woodland scenes which depicts the changing seasons. The artwork is superbly detailed with insects such as elephant hawk moths and stag beetles, animals such as woodmice and fallow deer and the flora - honeysuckle and bluebells as well as the omnipresent oak, depicted in a manner worthy of inclusion in any field guide. Both words and pictures deserve time to be enjoyed and encourage reflection on the wonders of the natural world.